And this one is super sweet! 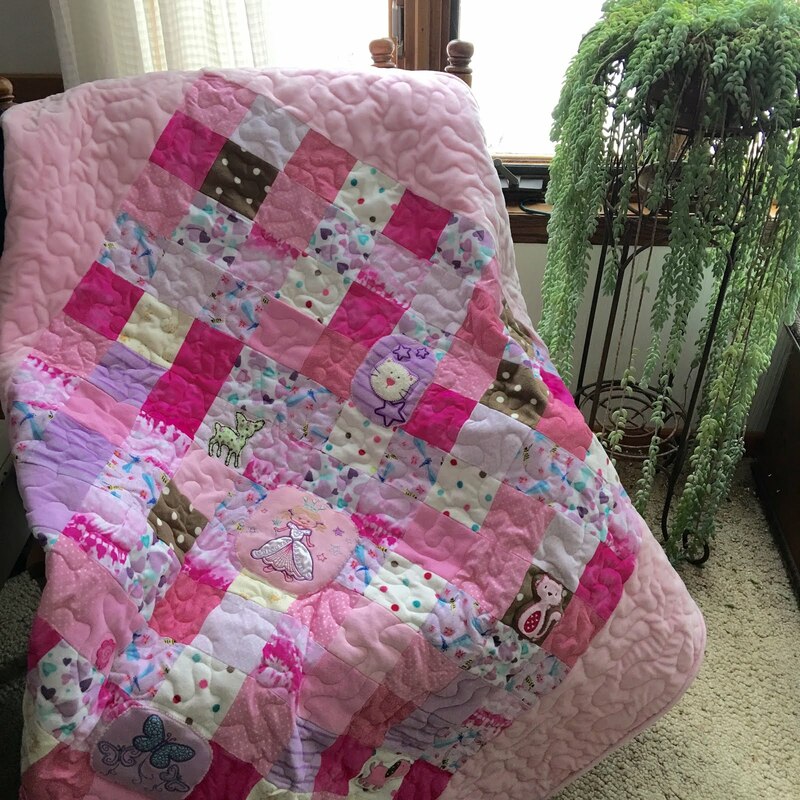 Kathy's granddaughter asked her if she would make a quilt for her out of her old pajamas. What grandma could refuse such a request! 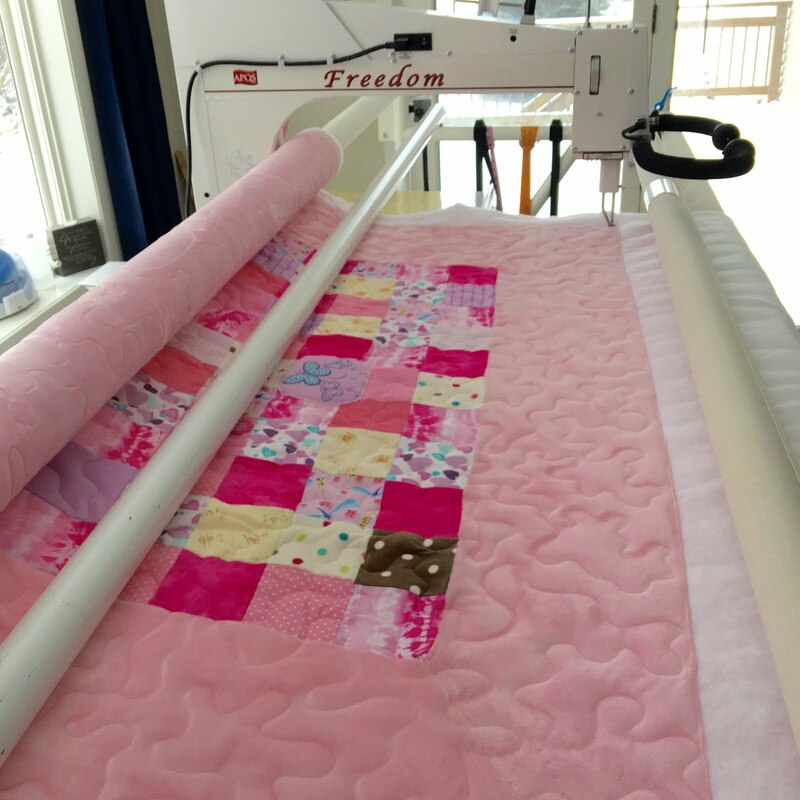 This is Kathy's first quilt and she went with simple squares consisting of knit, flannel, polar fleece, gauze, cotton and more! She fussy cut the appliques and added them in to her quilt. The backing, border and binding are all Minkee. Talk about soft and snuggly! Great job, Kathy! I'm sure your granddaughter will be overjoyed with this special quilt, made by her dear grandmother. So pretty and looks snuggly and warm! Lovely project and quilting! 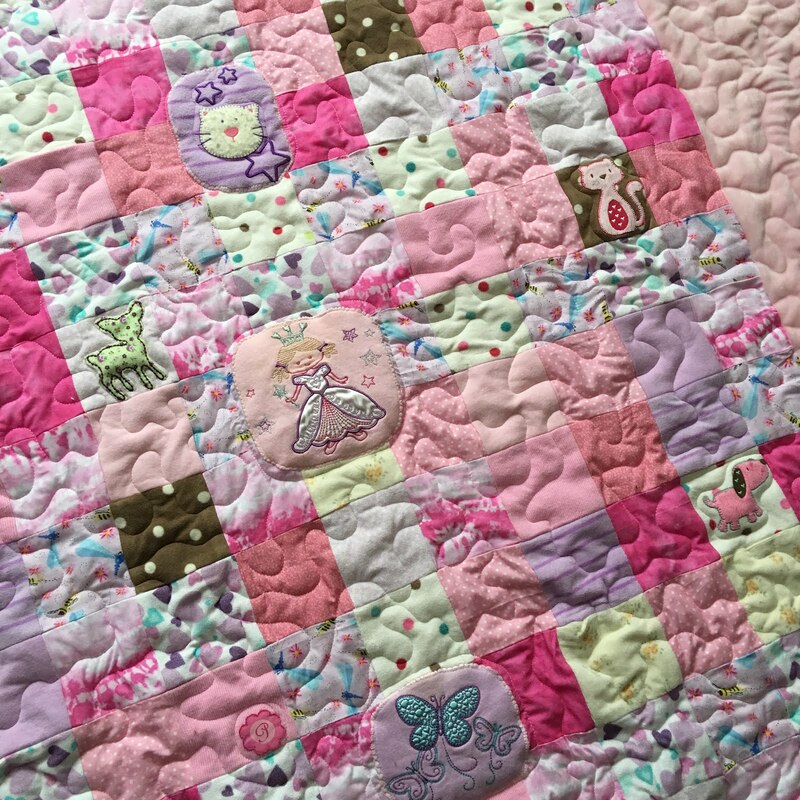 A cute quilt that will be loved. 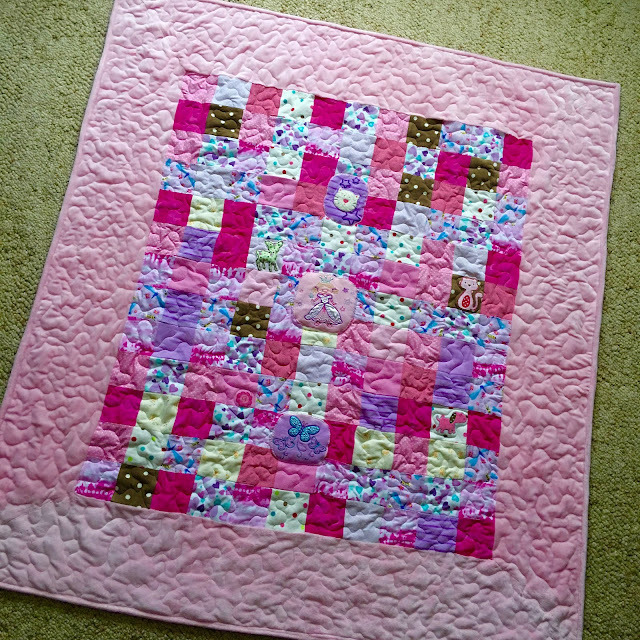 Great job with the quilting. Oh, I'm sure that quilt will be very loved! 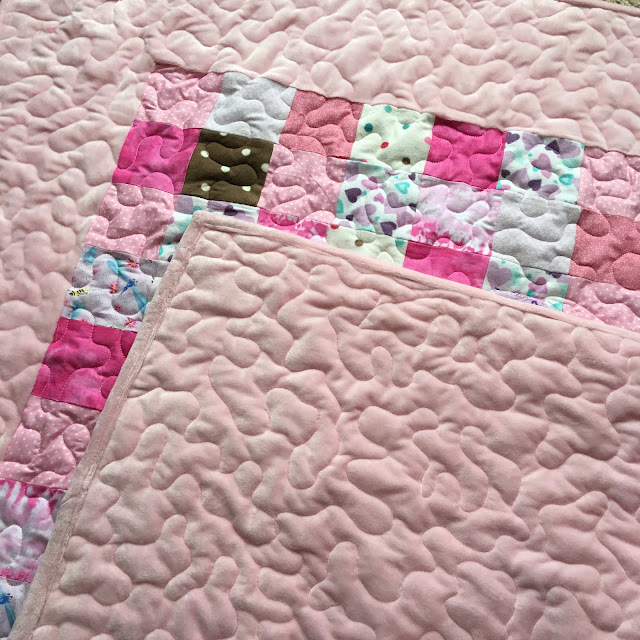 Kathy did a great job, and you had just the right quilting for it too, Nancy! What a good Grandma!!! Looks like you both did a great job on her first will. Adorable! Such a fun idea too! I think that is lovely. You are right - a grandma can never refuse a request!